This Mercedes-Benz includes: HIGH PERFORMANCE SUMMER TIRES Tires - Front All-Season Tires - Rear All-Season HEATED & ACTIVE VENTILATED FRONT SEATS Cooled Front Seat(s) Heated Front Seat(s) PRE-WIRING FOR RR SEAT ENT PREMIUM PACKAGE Keyless Start HD Radio Heated Front Seat(s) Satellite Radio Power Door Locks Keyless Entry FRONT SEATS RAPID-HEATING FUNCTIONALITY Split Bench Seat Heated Front Seat(s) Fixed Bench Seat Bucket Seats ENERGIZING COMFORT PACKAGE AMG LINE Floor Mats NATURAL GRAIN GREY ASH WOOD TRIM Woodgrain Interior Trim ACTIVE MULTICONTOUR FRONT SEATS W/MASSAGE FEATURE Seat-Massage Split Bench Seat Power Passenger Seat Power Driver Seat Fixed Bench Seat Bucket Seats DRIVER ASSISTANCE PACKAGE Lane Departure Warning Lane Keeping Assist Brake Assist Adaptive Cruise Control BLACK HEADLINER PARKING ASSIST PACKAGE Automatic Parking Back-Up Camera ILLUMINATED DOOR SILLS W/MERCEDES-BENZ LETTERING BURMESTER SURROUND SOUND SYSTEM Premium Sound System *Note - For third party subscriptions or services, please contact the dealer for more information. * Today's luxury vehicle is not just about opulence. It's about a perfect balance of performance, comfort and attention to detail. 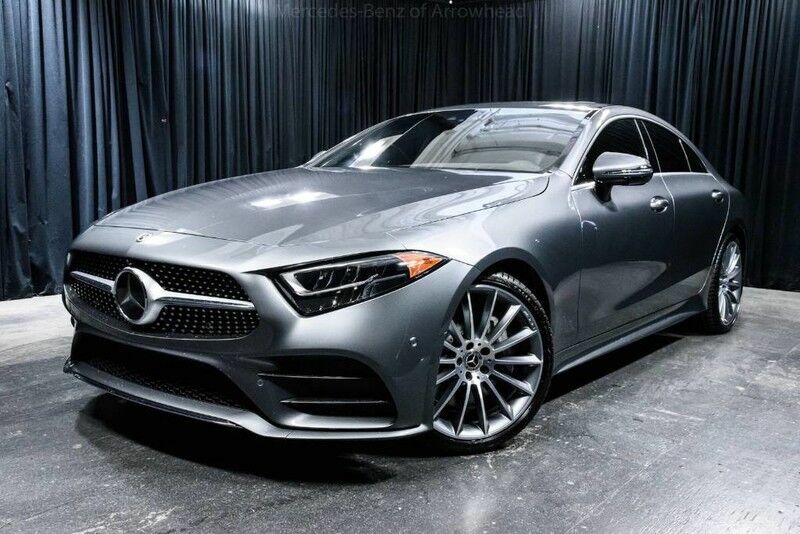 This 2019 Mercedes-Benz CLS is the perfect example of the modern luxury. You could keep looking, but why? You've found the perfect vehicle right here. Look no further, you have found exactly what you've been looking for. Visit your Mercedes dealer today serving Phoenix, North Scottsdale, Tempe, Gilbert, Mesa, Chandler, Scottsdale AZ.